This month I've been participating in Inktober! - Using Jake Parker's prompt list, every day I have been creating something new. Although it might not seem like much, the act of drawing every day is definitely getting my creative juices flowing and inspiring some pretty cool ideas! By the end of October, not only will have an interesting body of work to look back on but hopefully I will have found the inspiration for my next big project! In the meantime I hope you enjoy following my progress along! 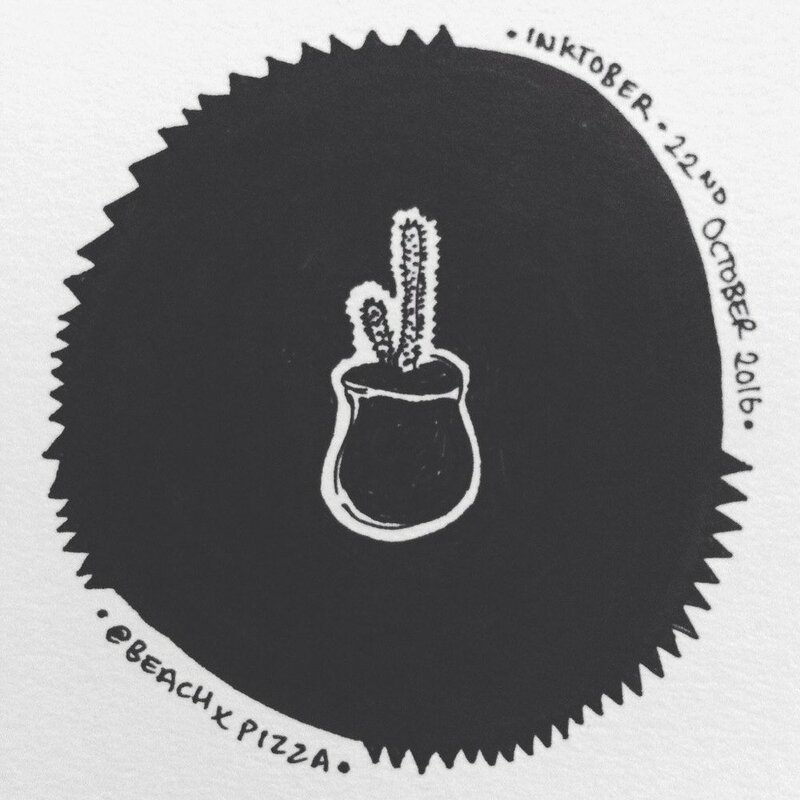 All images will be posted daily on the BEACHXPIZZA Instagram and Twitter pages and I have also add a section dedicated to Inktober here on my Art page where all images can be viewed.